The third quarter of 2015 the PSC MoU with the highest detention ratio (7.83%) was that of Mediterranean MoU, an increase which is mainly attributed to the increased detention ratio of general cargo ships. After the Mediterranean MoU, the Indian Ocean MoU was the second MoU with increased detention ratio (4.13%), followed by Paris MoU (3.61%) and Black Sea MoU (3.15%). In comparison to the previous quarter of the year the detention ratio of Tokyo MoU was decreased to 2.72%. The second quarter of 2015 PSC inspections in Black Sea and Mediterranean PSC MoU were slightly decreased compared to the numbers of the first quarter. The same occurred for Paris PSC MoU, whereas for Tokyo PSC MoU the total number of PSC inspections was increased. The PSC inspections that resulted in identifying deficiencies onboard vessels was decreased for the Black Sea, Mediterranean and Paris PSC MoU but was increased for the Tokyo PSC MoU. The PSC Report that was published in the past by OOW has been updated and from now on will be released on a quarterly basis. The updated report focuses mainly on the locations where the majority of the PSC detentions took place in the past quarter. As it can be seen from the report the majority of the PSC detentions takes place in the Tokyo PSC MoU, followed by Paris PSC MoU. This is something to be expected taking into consideration the amount of merchant vessels that visit Indian/Pacific ocean area as well as the Europe area. Defects related to propulsion and auxiliary machinery installations have traditionally been one of the top six categories of deficiencies recorded during port State control (PSC) inspections in previous years. An average of 7% of the total number of the deficiencies identified within the Tokyo MOU region are related to machinery installations. For the purpose of verifying compliance with the requirements of SOLAS Convention Chapter II-1, member Authorities of the Tokyo MOU undertook a Concentrated Inspection Campaign (CIC) on Propulsion and Auxiliary Machinery from 1 September to 30 November 2013. During August 2013 the PSC detention in the Paris MoU area showed a slight decrease compared to July 2013. In the Tokyo MoU areas there has been a greater decrease of the vessels’ detentions, in August 2013 there were 97 detentions while during July 2013 there were 130. The number of detentions in the Mediterranean MoU has been decreased from 18 to just 4, maybe as a result of the civil unrest in Egypt during August. The Indian Ocean MoU detentions number remained the same for the month under review, that is 37. Finally there has been a decrease in the Black Sea MoU detentions from 15 to 7. A PDF version of this post is also available for download. Please click the following link in order to download OOW PSC Monthly Report for August 2013. The PDF version of this report can be also found in the OOW profile in Scribd by clicking HERE. The tables contained in the monthly PSC report summarize the number Total Inspections, Inspections With Deficiencies and Inspections Without Deficiencies that have been conducted in the major PSC MoUs areas. The statistics that are being published each month in the Officer of the Watch blog are based in data available to the Black Sea MoU, the Mediterranean MoU, the Indian Ocean MoU, the Paris MoU and Tokyo MoU. Each month’s PSC report contains also information from the USCG, the MCA, the AMSA and Canadian Coast Guard, these information are presented as reference to the type of deficiencies that are being identified through PSC inspections. A PDF version of this post is also available for download. Please click the following link in order to download OOW PSC Monthly Report for July 2013. The PDF version of this report can be also found in the OOW profile in Scribd by clicking HERE. The following tables summarize some findings from the PSC inspections conducted in the main PSC MoU areas (Black Sea MoU, Mediterranean MoU, Indian Ocean MoU, Paris MoU and Tokyo MoU) during last month. Data have been also gathered from various Coast Guard agencies and are presented in each month’s report. Data from other PSC MoUs (Vina del Mar, Abuja MoU, Riyadh MoU) could not be extracted at the time this report has been issued and therefore were not included. The Maritime Labour Convention, 2006 (MLC 2006) was adopted by the International Labour Conference of the International Labour Organization (ILO), under article 19 of its Constitution, during a maritime session in February 2006 in Geneva. 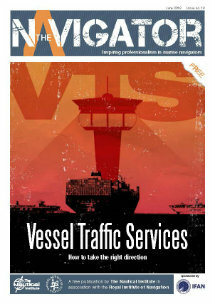 The aim of the current article is to analyze MLC regulation 5.2.1 regarding inspections in ports. In other words it will be discussed how member states which have ratified the MLC will enforce it through Port State Control (PSC) procedures.